The Key Way Foundation would not exist without caring people. The Key Way Foundation began with a small group of people and churches who saw a great need and were interested in helping improve conditions for those in dire need in Ecuador. We have since expanded partially to other South American countries and, to a lesser degree, parts of Texas. Key Way operates much like a family-owned business with the only goal of helping those less fortunate than ourselves and spreading the Word of God. Over the last 10 years, The Key Way Foundation has held to our original goals. Many of the families and individuals we have helped have become independent, productive members of society. Some have referred others in need to our door, and others have given back with their own time, work, or money. We have been truly blessed. More families than we have funds to help are waiting for your heartfelt donation. Key Way would like to extend our gratitude to each and every person or group who has shown interest and have given of their time and money in recognition of a personal obligation to make the world a better place and find fulfillment in meeting the needs of their fellow man. Louis & Dottie McBride have been missionaries in Ecuador since 1978. 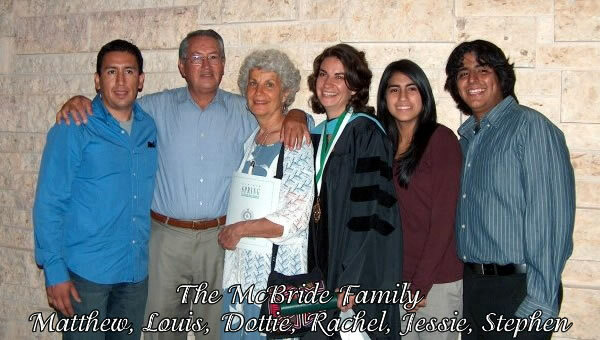 Louis and all four of their children are native Ecuadorians. Their work with orphanages and governmental agencies throughout the years has established rapport which aids in the work of the Key Way Foundation. Louis & Dottie also serve as Board Members of our sister foundation, La Llave, in Cuenca, Ecuador. Matthew current lives in Texas and serves as Board Member for Key Way Foundation. He was a part of the AIM Missionary program in Lubbock, Texas and worked in France, Mexico, and Ecuador. Stephen attends Abilene Christian University and on every trip home to Ecuador, he works closely with his family in their work and for the Key Way Foundation. Jessie lives in Ecuador and works with the Key Way Foundation in countless ways. She serves as our translator for the Pen Pal Program, started in 2010, which has 11 pairs of children corresponding. We hope to add more children to this program in 2011. Please contact us if you are interested in your child or children at your school or church writing children in Ecuador. Rachel McBride was born in Cuenca, Ecuador. She entered Abilene Christian University in August 1997 and graduated with her Bachelor of Science Degree in Human Development and Family Studies in May 2001. Rachel was awarded the Servant Leader Spirit Award as a senior; while at Abilene Christian University, she also was a member of the honor society Kappa Omicron Nu, and active in the Freshman Action Council. Following graduation at Abilene Christian University, she began her graduate studies at Texas Tech University in Lubbock in the fall of 2001. These studies were in the area of Human Development and Family Studies. After determining that the Texas Tech program tended to be more technically based rather than application based, Rachel transferred to the graduate program at The University of North Texas in Denton, Texas. She completed her Master of Science Degree in Human Development and Family Studies with an emphasis in Early Childhood Intervention in December 2003. In March 2002, she began working at the Infant and Toddler Intervention Program of North Texas, a state and private, non-profit agency designed to work with children who are developmentally delayed. Rachel worked for this agency full time for a year and then part-time and contract for another year. 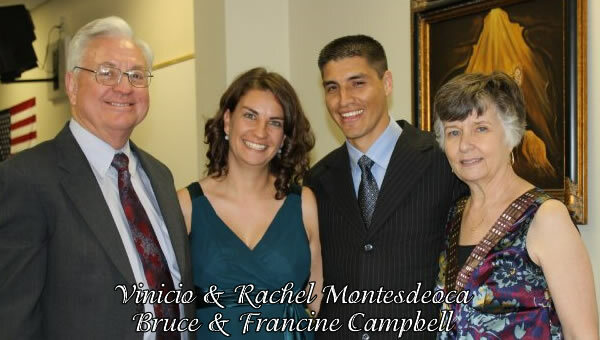 For three summers, Rachel was an assistant teacher at A Child’s Garden Montessori School in Carrollton, Texas and was a substitute teacher for its sister school, Forest Lane Montessori. 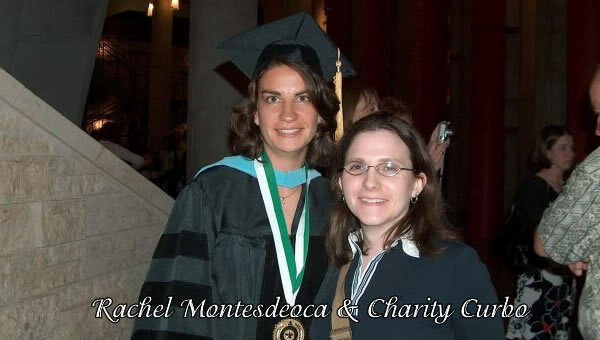 During the 2004-2005 school year, Rachel began her role as a Diversity Scholar, which is a teaching lecturer position. She taught two undergraduate classes in her program area each semester. The position was designed to bring diversity to the teaching program of the university utilizing individuals from other cultures and ethnic groups. It functions to prepare doctoral students in the College of Education for academic careers in higher education. 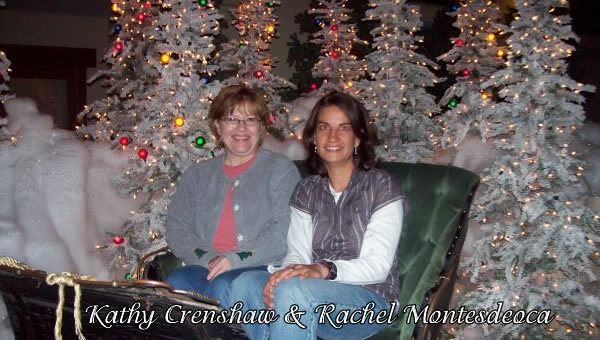 Rachel also was awarded the Bessie P. Cowan Scholarship for 2004-2005 and 2005-2006 in the College of Education. Rachel worked in Cuenca, Ecuador, full-time in 2009 as a consultant and project coordinator. She currently resides near Austin, Texas, with her husband, Vinicio Montesdeoca, while he pursues a Master degree in Theology. Together, they have made several trips to Ecuador, Peru, Chile, and various cities in Texas to facilitate workshops, host groups of teens on mission trips, and much more. In addition to semi-annual meetings, every board member helps in any way possible. La Llave has only been in existence as it is today since December of 2001, however the people who make up the foundation have been working together for over twenty years to make life better for the poor and suffering of Ecuador. Louis and Dottie McBride went to Ecuador as missionaries in 1978, intending to stay a couple of years. They soon realized their lives would never be the same and made Cuecna their permanent home. Through the years, they have counseled and educated while furnishing the basic necessities of food, clothing, medicine, and shelter to those in need. Louis is a native Ecuadorian and has always felt a drive to help his country. Rachel, then McBride, Montesdeoca, came to the U.S. in 1997 to start her higher education, with the goal of returning to Ecuador to work with abandoned children and families in crisis. She received her Bachelor’s of Science Degree in Human Development and Family Studies in May, 2001, a Master of Science Degree in Human Development and Family Studies with an emphasis in Early Childhood Intervention in December, 2003, and a doctorate degree at The University of North Texas in Early Childhood Education in May of 2008. During Rachel’s stay in Texas, she and a group of friends and supporters started The Key Way Foundation for the purpose of meeting humanitarian needs in Latin America, with a focus on Ecuador. Her parents and friends founded La Llave in Ecuador with the same desires and purposes in mind, the goal being for the two foundations to work together to fulfill those purposes. Since its creation, La Llave has continued with benevolent works of feeding and clothing the homeless people, providing medical care for burn victims, cancer patients, and those in need of artificial limbs, etc., as well as providing counseling and education for single parents and troubled homes. In September 2004, members of Key Way Foundation and Healing Hands International went to Ecuador with the purpose of visiting hospitals, schools, jails, and orphanages to form a vision of how they can work with La Llave to meet the needs they encounter there. Members of La Llave and their volunteers also assist The Key Way Foundation by cooking and serving meals funded by The Key Way Foundation on a monthly basis. Our goal is to host these meals each weekend.